In a Western society, what is tangible and what is quantifiable often take precedence over things that are elusive or ephemeral. 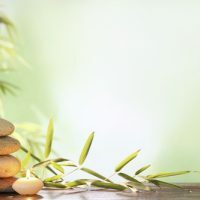 However, many disciplines such as psychology, neuroscience, nutrition, genomics, and so forth have begun recognizing the mind, body, and spirit connection. In order to experience better health and improve the body’s ability to heal itself, conventional scientific disciplines are now exploring ancient concepts such as meditation, yoga, and prayer. By acknowledging, or considering the existence of things such as the spirit, or soul and combining those ideas with what is currently known about the mind and body, we are able to improve our state of well-being. What is spirit? Spirit is a a form of intelligent power. Regardless of what kind of being, whether animal, human, or plant, it has a spirit. Some people believe that God is capable of individualizing the spirit. Similar to the spirit, the soul is the embodiment of spirit in an individual being. Some people believe that animals also have souls. Fewer people believe that plants have souls, but there are some people who insist it is true. The mind is viewed by some people as the central part of the soul. Others view it as part of our most basic human functions. It was developed to keep us constantly alert and aware of our surroundings. Many meditation teachers talk of calming the mind, which in today’s world has almost no practical use to keep us safe outside of keeping us away from bad situations. Meanwhile, it creates many things to think about to keep itself busy and this leads to anxiety. When our minds are filled with thoughts that are worrisome, our bodies physically suffer as a result. Psychosomatic problems develop and we are no longer as healthy as we could be. Therefore, it is critical to nurture the mind in order to bring about wellness of our whole beings. When we care for ourselves, it must include care for our physical bodies, our emotional selves, as well as our spirit. Physical care is often equated with physical health. This means that we should pay close attention to what our bodies are telling us and respond accordingly. If your knee hurts, for example, find out why. Don’t just wait for it to go away on its own. Pain is there as a warning to us that something is wrong and needs attention. Likewise, when we catch colds and take long periods to recover, our immune systems are struggling to keep up and we need to aid them by providing ourselves with better quality nutrition and supplements. Hopefully we are doing this already, but in today’s busy world, we often get sidetracked and do not give our bodies the proper are they deserve. Emotional well being is another area in which we should focus our attention. Without emotional well being, we cannot be in good health physically. Stress, in particular, causes our bodies to act in overdrive and become run down which leaves us more susceptible to disease – both chronic and acute. Spiritual well being, whether as part of a religion, a philosophy, a practice such as yoga, or a state of awareness of being is important to physical health. Some people feel spiritually enlightened only when at religious houses, while others who may shun religion feel similarly spiritually enlightened when in nature. 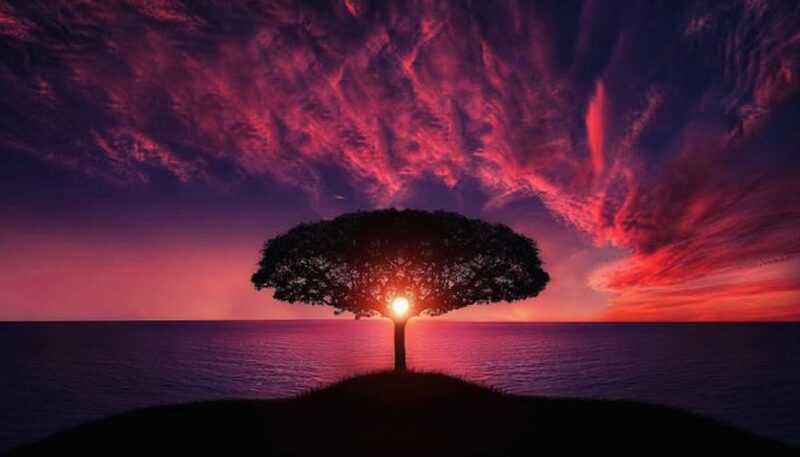 However you wish to define spiritual enlightenment, it provides a sense of ‘connectedness’ that gives a sense of comfort and belonging to something – a church, to God, to the Universe, or just to the physical energy proved to exist by science that is quantifiable and constant. Some people may be more sensitive to the link among mind, body, and spirit. They pick up on the smallest changes in the people and animals around them. These people are known as empaths, or people who are able to empathize easily. In our modern world empathy is quickly taking a backseat to the selfish, narcissistic focus on the outer-self – which should be differentiated from the healthy focus on the inner-self. If you are like most people, enhancing mind, body, and spirit requires some effort. It doesn’t come to you naturally. But, don’t worry, it can be done. In order to bring the mind, body, and spirit into balance, be sure to get enough exercise. Be sure to pick an exercise that is comfortable for you so that you are encouraged to do it frequently. Choose organic fruits and vegetables for your diet. Even if you eat processed food, make sure they have organic products in them. This far in life you have already been exposed to tons of pesticides. You are exposed to them every day. You are most vulnerable to them when you ingest them, so buy organic! Go vegan! No, really. It isn’t all about tofu. By going vegan you not only spare the lives of hundreds or thousands of innocent animals, you also help the environment by conserving important resources like water. The best way to learn to be vegan is find a vegan that knows how to cook. Learn some good recipes instead of eating processed vegan foods off the shelf. They are not nearly as good as what you can make yourself. Remember to breathe the right way – sitting or standing tall and using your belly to pull the air deeply into your lungs. You clear toxins from your body and your muscles relax. 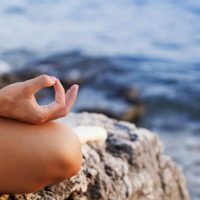 A good way to learn proper breathing technique is through yoga. Yoga stretches your muscles, improves your posture, and teaches you to focus by directing your attention to your breathing. Always get enough sleep. Without sleep, your brain cannot process properly and it makes every day more difficult. With adequate sleep you are better prepared to handle the challenges that face you each day. Be happy. Sometimes this is easier said than done, but try it. Even on your worst days, fake it. It makes a difference in how people respond to you. They will smile at you and your fake smile will turn into a real one. Live for the now. Pursue your dreams. Don’t wait for the perfect time – just go do it! You only regret what you never got around to doing. Don’t forget to be grateful for what you have. Most people have far less. Enhancing mind, body, and spirit for better health is worth your time. You will get back so much more than you put into it. If you are looking for more information on Mind, Body, and Spirit rejuvenation, try this book. Your Stress Could Be Killing You	How Does Buddhism Relate to Meditation and Yoga?